So what, exactly, is ACTA? ACTA is an international agreement aimed at establishing international standards on intellectual property enforcement among participating nations. These countries include the USA, European Commission, Japan, Australia, Canada, Jordan, Mexico, Morocco, New Zealand, Republic of Korea, Singapore and the United Arab Emirates. ACTA standards would theoretically apply to all counterfeited products — from Gucci handbags to bogus pharmaceuticals. So why should music people care? Well, portions of ACTA contain enforcement mechanisms for dealing with the unlawful distribution of copyrighted content over the internet. You know, like music and movies. Although it’s an “agreement” and not a treaty, ACTA has been highly controversial. Perhaps the biggest point of contention is the fact that all ACTA negotiations between participating countries have taken place behind closed doors. This seems at odds with the Obama administration’s stated commitments to openness and transparency, especially considering that previous international copyright treaties (TRIPS, WIPO, etc.) were negotiated more openly. It's also worth noting that other countries' representatives may be negotiating out of a different part of government, say, a parlimentary branch. This gives them extra leverage in calling for ACTA talks (and ultimately, ratification) to be a more open process. Several groups (including FMC) have encouraged the United States Trade Representative (USTR) — the branch of the administration that’s dealing with ACTA — to release a copy of the text for public consideration. Mostly, folks just want to know what's actually in the thing. And it’s not just US groups calling for more transparency. Last month, the EU Parliament voted 633 to 13 in favor of a joint resolution calling for the immediate release of ACTA texts and public access to the negotiation process. The resolution also prohibits the EU from continuing to engage in secret talks with other ACTA parties. On April 21, 2010, the USTR finally released an official public draft of ACTA. Although this is a step in the right direction, the draft does not show which country is proposing what. (A prior leaked version of ACTA included specific edits by individual countries.) A logical next step in promoting the transparency of ACTA would be for the USTR to solicit public comment on the draft and perhaps even recommend changes to the text based on this feedback. Yet it’s unclear whether such a process is even being considered. There’s another reason people have been paying close attention to this agreement. A previously leaked draft of ACTA suggested that internet service providers (ISPs) should terminate the subscriptions of certain repeat copyright infringers. Such measures — which have already been considered and at least partially implemented in France and the UK — are often referred to as “graduated response” or “three strikes.” Laws like this would allow ISPs to cut off a users’ service if they are suspected of copyright infringement and receive a number of letters (say, three, which is where the “three strikes” comes from). Again, this approach has already been adopted in France and as of a week ago, Ireland. There are a number of questions about graduated response, however. What recourse would the consumer have if they feel they’d been wrongly accused of infringement? Where would these cases be reviewed, and by whom? Would people cut off from one provider be blacklisted by other ISPs? Some challenge that laws like this put tremendous power in the hands of the ISPs who may mistakenly terminate user accounts. In America, there’s already something of a digital divide; three strikes provisions, if not properly implemented, could conceivably widen it. None of this is said to excuse the theft of intellectual property. But these issues definitely need to be considered, and where appropriate, publicly debated. Graduated response measures do not seem to appear in the newly released ACTA text. However, the draft does contain broad language that encourages ISPs to use “fair and proportionate” remedies to uphold countries’ individual copyright laws. So what would the adoption of this draft (and that’s all it is, a draft) mean for US law? Maybe not a lot. 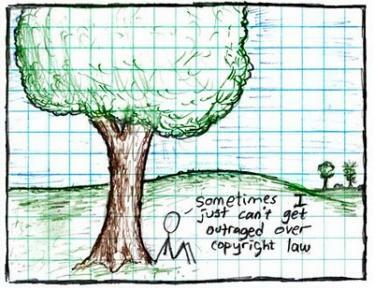 What many point out, though, is that ACTA could make the America’s Digital Millennium Copyright Act (DMCA) a global phenomenon. The DMCA already contains so-called safe harbor provisions for ISPs, with the requirement that they have a takedown system to protect content providers whose works are being infringed upon. Additionally, the DMCA in the US prohibits Digital Rights Management (DRM) circumvention. Meaning, you’re not allowed to strip the “locks” off digital files. While the safe harbor is perhaps the least contested DMCA provision, the anti-circumvention sections have been decried by some as burdensome to consumers and stifling for innovation. Keep in mind that these parts of the DMCA (as well as a general third-party liability principle for ISPs) do not exist in many other countries. This raises the question of whether ACTA will become a means to export a regulatory regime that may (or may not, depending on your view) work at home, but could create issues abroad. Another thing to consider about ACTA is that our own intellectual property laws are constantly evolving and adapting to the new digital environment. Were we to adopt ACTA, we might be freezing the development of US IP law in its current shape, which may have unintended consequences for rightsholders down the road. We’ll be discussing ACTA a bit more in the coming weeks (there’s an event that we’re just about ready to tell you about!) so stay tuned.